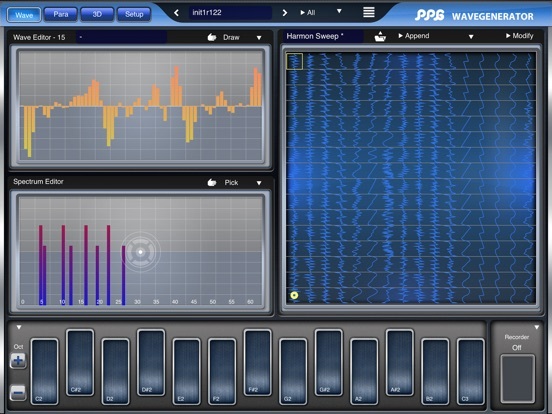 This app enables the user, to create his own wavetables in a playful way, and to hear the result immediately. Also you can construct the waves by adding harmonics very precise. 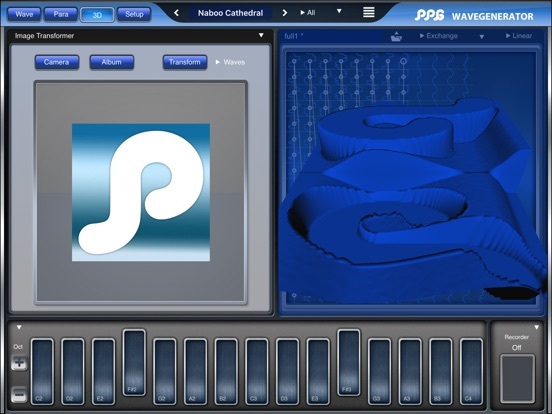 Another way is to transform a picture into a wavetable. You can load photos from your album or even shoot a picture with the camera. 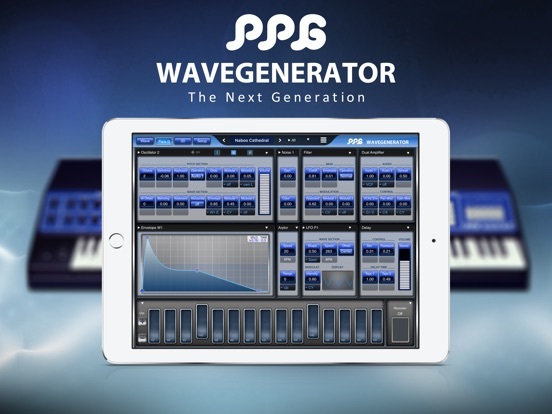 The waves are collected in a grid of 256 fields, to which the 3 oscillators of the synthesizer have arbitrary and independent access. With a sophisticated routing system, the diverse modulation sources can be connected to all important control points. 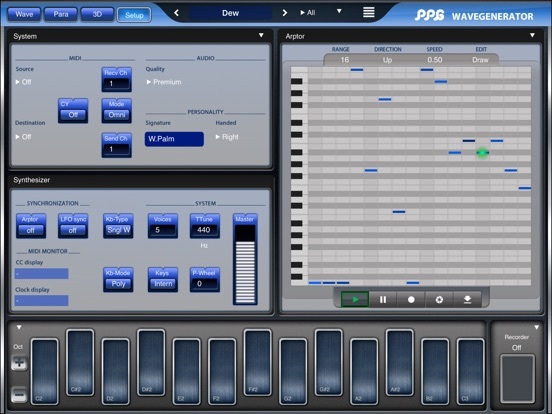 The keyboard is configurable totally freely, so you can setup all well-known musical scales, but also all imaginable custom scales that best fit into your music. 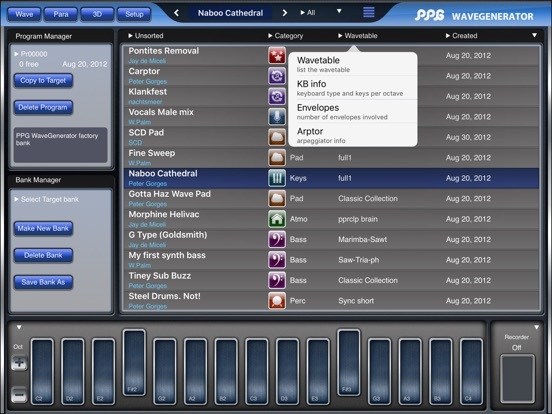 • 13 Envelopes, for independent control of pitch, waveform, filter, noise, gain and panning. ▪ Audio Unit Extension (AU) with 2 pages. ▪ Inter-app audio (IAA) support - audio and MIDI. ▪ Export audio to AudioShare. ▪ 30 min audio recording and Audio copy.